The original Nikon EN-EL3e at the top and the competition below. 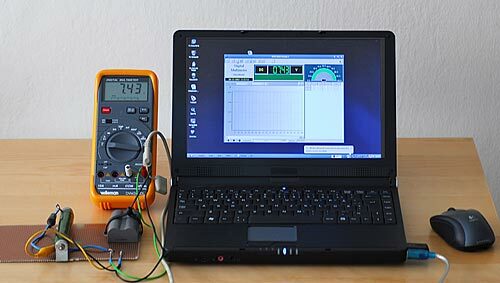 Test rig contains of a Velleman DVM345DI Digital multimeter with computer interface. going to tell us which battery that has most juice inside! Soooo is the aftermarket batteries crap then? 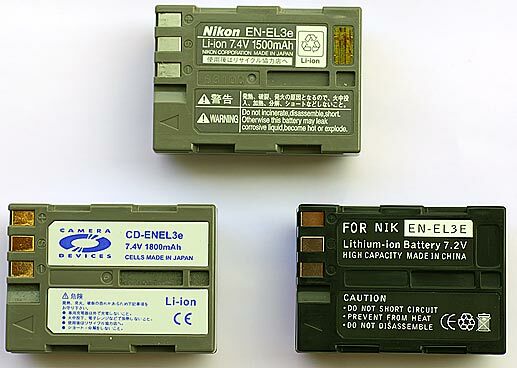 I started to measure the original Nikon EN-EL3 battery voltage when in use in the camera. battery symbol started to flash (Nikon D200) at this point the camera didn't operate. was measured to: Nikon 8,39v , Camera devices 8,37v , FOR NIK 8,38v. charging level during a 1 week shelf storage after recharging violet,sky blue,orange. To me it looks like they all have about the same after charging shelf life. Camera batteries from Amazon.com here! Discuss this review in the forum! Please send me an e-mail to get the address where to send your battery!